The beauty of functional medicine to manage Hashimoto’s hypothyroidism is it puts your health journey in your hands. 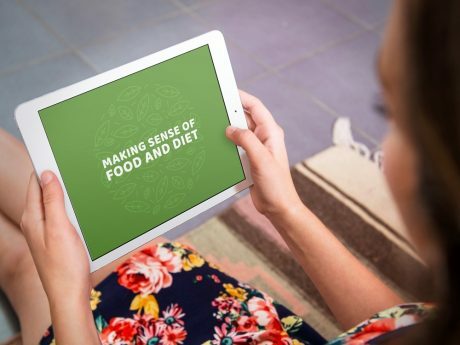 The curse of functional medicine is that eating healthy takes more time, which can feel stressful. 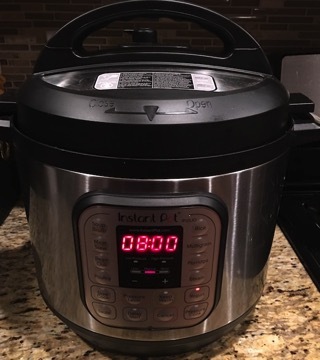 Enter the Instant Pot, a relatively new kitchen appliance that is simple to use, makes it easy to stick to a Hashimoto’s hypothyroidism diet, and takes a lot of stress out of cooking when your schedule is hectic. 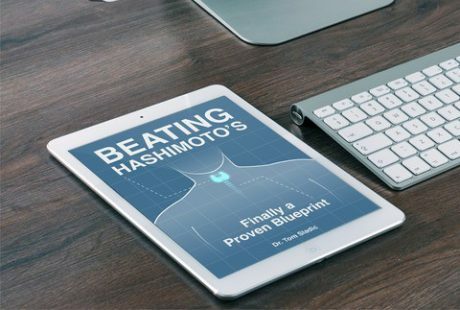 What makes the Instant Pot a good functional medicine tool for Hashimoto’s hypothyroidism? The Instant Pot’s success is in its multiple features and that it produces consistent results. The Instant Pot sautés, foolproof pressure cooks, slow cooks, makes yogurt, functions as a rice cooker, and quickly makes bone broths. It is conducive to big batch meals that will create nutritious leftovers for a few days. Cooks frozen meats. How many times have you forgotten to put the meat out to thaw for dinner? You can put your frozen meat in the Instant Pot and still have stew for dinner. Cuts down on dishwashing. The Instant Pot allows you to do multiple things in one pot, cutting down on dirty pots and pans. For instance, you can sauté the onions and brown the meat in the same pot you cook your stew in. Additionally, you can cook in Pyrex bowls inside the Instant Pot, which can then be stored in the fridge and used as a lunch container. Removes the stress of timing. Once you put your meal in the Instant Pot, you press a button for how long it needs to cook and then you can walk away. Not only will it shut itself off, it will also keep food warm for up to 10 hours. If you are not sensitive to eggs, it makes reliable hard boiled eggs, and some people even crack their raw eggs into a bowl before cooking for a quick and easy egg salad that doesn’t require peeling egg shells. Takes the complexity out of pressure cooking. The Instant Pot’s most popular feature is pressure cooking, which radically shortens cooking times. Best of all, it uses a foolproof design so you don’t have to worry about blowing up your kitchen. It’s a great slow cooker. One of the most satisfying dinners is the one you make in the morning and it’s waiting hot for you in the evening. In addition to cooking quickly, the Instant Pot is a great slow cooker, and you can brown the meat in the same pot. Makes dairy-free yogurt. Yogurt is a delicious and convenient snack that is hard to give up when you go dairy-free — many people with Hashimoto’s hypothyroidism find going gluten-free and dairy-free better manages their thyroid symptoms. Dairy-free yogurts are expensive and filled with thickening gums, which are irritating and immune reactive for many people. The Instant Pot is a great dairy-free yogurt maker, using gelatin or chia as a thickener. You will need to order a high-quality brand of coconut milk however, for a good end result. Easy squash and root veggie cooking. Squash is a great addition to many meals and very satisfying. However, it’s a pain to prepare, which can be a real deterrent to including it in your diet. No worries, just toss whole or halved squash in the Instant Pot and then peel, seed, and chop them after it’s cooked. You can also cook sweet potatoes whole and quickly peel and chop after. Cooking more fragile vegetables such as broccoli, however, is best left to the stove top steam basket to avoid overcooking. These are just a few of the ways the Instant Pot can be a part of a functional medicine protocol to help you manage Hashimoto’s hypothyroidism. Don’t be intimidated by it — the learning curve is quick and you’ll soon be able to intuit how to use it. The internet abounds with tips, recipes, and general enthusiasm to get you up to speed. Ask my office for more information on how to manage Hashimoto’s hypothyroidism using functional medicine.